Scars can be an embarrassing issue that can be oftentimes hard to treat. 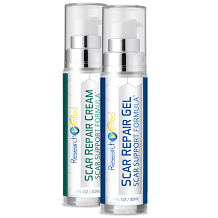 With so many scar treatment options available on the market, it can be hard knowing which is right for you. This SkinMedica review is going to take a closer look at the facts and details to learn more about how this scar treatment works and to see if it’s worth giving a try. The manufacturer claims that their product will soften and minimize the appearance of red or pink scars. Other Ingredients: Water, Poloxamer 407, Bulbine Frutescens Gel, PEG-40, Hydrogenated Castor Oil, Propylene Glycol, Olea Europaea Leaf Extract, Centella Asiatica Extract, Xanthan Gum, Lactic Acid, Potassium Sorbate, Sodium Benzoate, Phenoxyethanol. Centella Asiatica has the ability to repair nervous tissue and has been used to treat a variety of skin conditions. It provides strong anti-aging benefits because of its ability to protect skin molecules from degradation. It also improves the circulation and synthesis of collagen and skin tissue which is essential for maintaining younger looking skin. It also boosts antioxidant activity at the site of wounds, strengthens the skin and increases blood circulation. Bulbine frutescens contains anthraquinones that can help heal skin. Apply a thin layer twice a day. Wipe the applicator tip before and after use. You can begin using this gel as soon as the wound has healed or the sutures have been removed. Continue use until the scar matures and appears flat and white without redness. Make sure to avoid contact with eyes. If contact occurs, rinse eyes thoroughly with water. Discontinue use if irritation or rash occurs, Talk to your doctor if symptoms persist. SkinMedica does not mention anything about how much time. We were unable to find any side effects associated with this product. 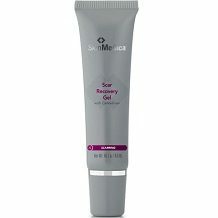 You can purchase SkinMedica Scar Recovery Gel exclusively from third-party retailers. We found one 0.5 oz tube online for $44. There are no discounted bulk purchasing packages offered but that can vary according to the retailer you purchase from. We were unable to find any mention of a manufacturer’s guarantee and it appears that SkinMedica does not offer one. SkinMedica appears to be a promising scar treatment that can possible reduce the appearance of scars. It comes with an easy to use applicator and it does not have any known side effects which is always reassuring. However, this product is not backed by a manufacturer’s guarantee which means that if you purchase SkinMedica and are dissatisfied in any way, you cannot get your money back from the manufacturer. The lack of a manufacturer’s guarantee also suggests that the manufacturer is lacking confidence in their product’s ability. Furthermore, while SkinMedica does have an extensive formula, we found it to be lacking a key ingredient that we have found is contained in most scar treatments. This leads us to question whether or not the formula’s ingredients are enough for it to be effective. With so many scar treatments available on the market, you are better off choosing one that is backed by a strong manufacturer’s guarantee and one that has effective ingredients.